Make a tribute to your beloved cat with this beautiful cat cremation urn. This cat cremation urn features an adorable cat being embraced by a girl. The figurine is cast of polymer with bronze additive and hand finished with bronze patina. 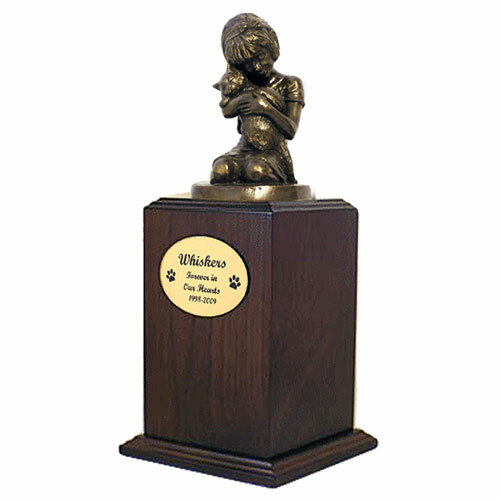 The figurine itself rests upon the exceptionally crafted walnut wood urn that is loaded at the base.